We've known for a while that Nokia's devices and services will soon have their search powered by Bing and their advertising services powered by Microsoft adCenter. We've also known that Nokia's Ovi Maps service would not going away. Instead, there was talk of integrating it somehow with Bing, but it was never clear how exactly that would happen. I said I couldn't believe Microsoft would agree to swap in Navteq for the guts of its own system. Yet my lunch guest argued that Microsoft's role would mostly center on the Bing Maps UI — ironically not unlike Yahoo's relationship to Microsoft search results — everything else would be powered by Nokia. And there was another very interesting remark. He asserted that Google's unwillingness to agree a co-mingling of Google Maps and Nokia Maps or substitution of Nokia Maps on the back end was one of the sticking points that prevented Nokia and Google from coming to terms. This shouldn't really affect the consumer too much, since they will still see the same service, and arguably it will perform better (otherwise, why would Microsoft agree to the back end switch?). Nevertheless, it's a very big change given the hundreds of millions of dollars the software giant invested to compete with Google Maps. 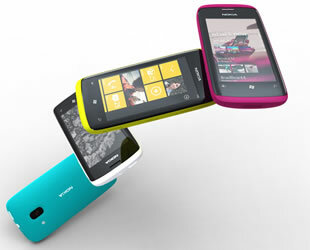 Three months ago, Nokia announced that it was choosing Microsoft's Windows Phone as its primary smartphone platform. Last month, Nokia and Microsoft finally signed a definitive agreement regarding their global mobile ecosystem partnership. While the overall picture covered many different areas, details for individual parts of products, such as mapping, were not laid out for the public to see. This is because the two companies still haven't figured out everything and probably won't for many months to come. As we've said before, when the deal was first announced, the two need to work quickly together if they want to stay relevant (or, some would argue, become relevant once again).